INDIANAPOLIS — LOINC, the world's most widely used code system for identifying medical tests, observations, and documents, has announced the recipient of the annual LOINC Award for Distinguished Contributions. The award honors individuals whose work advances the interoperability of medical data so that it can be electronically exchanged, understood, and used to improve health. Pamela D. Banning, MLS of West Linn, OR, was presented with the award at the LOINC meeting in June. Banning has served as a member of the Laboratory LOINC Committee since its early days, missing only a single meeting in two decades. Throughout her career, Banning has been a passionate champion of LOINC for data interoperability. LOINC is used as a standard coding system in 172 countries, and is available with many language translations. The Regenstrief Institute is the owner, developer, and overall steward for LOINC. It's users include a wide spectrum across the health ecosystem, such as healthcare institutions, clinical laboratories and diagnostic testing centers, health information exchanges, health IT vendors and app developers, health insurers, ministries and departments of health, and other government entities around the world. U.S. government agencies in the LOINC community include the National Library of Medicine, the departments of Veterans Affairs and Defense, the Indian Health Service, the National Cancer Institute, the Centers for Disease Control and Prevention, and the Food and Drug Administration. In over 20 years, Banning has mapped hundreds of thousands of local lab codes to LOINC for 3M's clients (and previously for ARUP), including the U.S. Department of Defense. She helped incorporate the terminology into the 3M Healthcare Data Dictionary. She has also supported international implementations of LOINC with Canada Health Infoway and Singapore's Ministry of Health. Banning is a strong LOINC advocate, guiding educational efforts and encouraging community involvement. "Many people know LOINC as the most widely used international standard of names and codes for medical results, observations, and documents in the world," said Regenstrief Institute investigator Daniel Vreeman, PT, DPT, MS. "But LOINC is also a vibrant, open, and collaborative community. 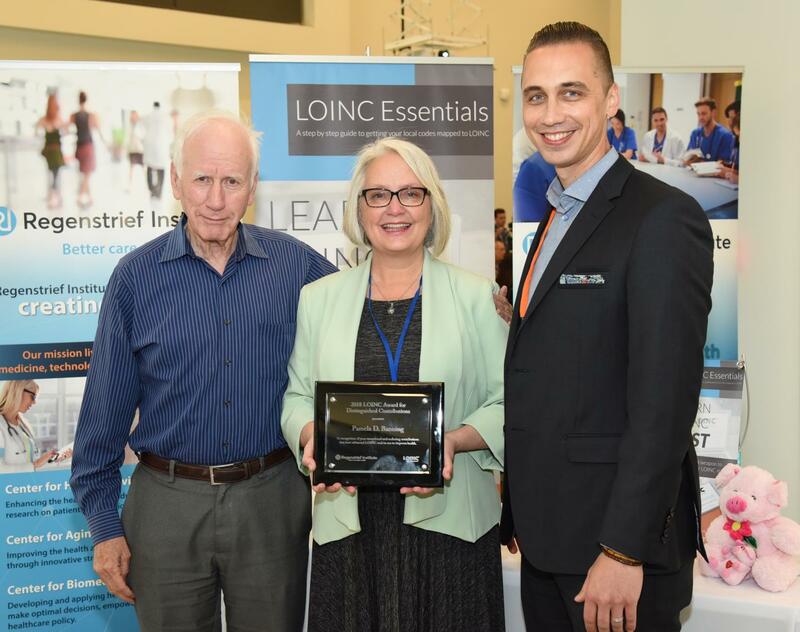 Thanks to dedicated people like Pam Banning, we are constantly expanding both the clinical content in LOINC and users of the standard, with the ultimate goal of improving human health." Dr. Vreeman serves as Director, LOINC and Health Data Standards in the Center for Biomedical Informatics at the Regenstrief Institute. With support from the U.S. National Library of Medicine, the Regenstrief Institute and other organizations, LOINC is an open, freely available standard. Updates to LOINC are issued twice annually.